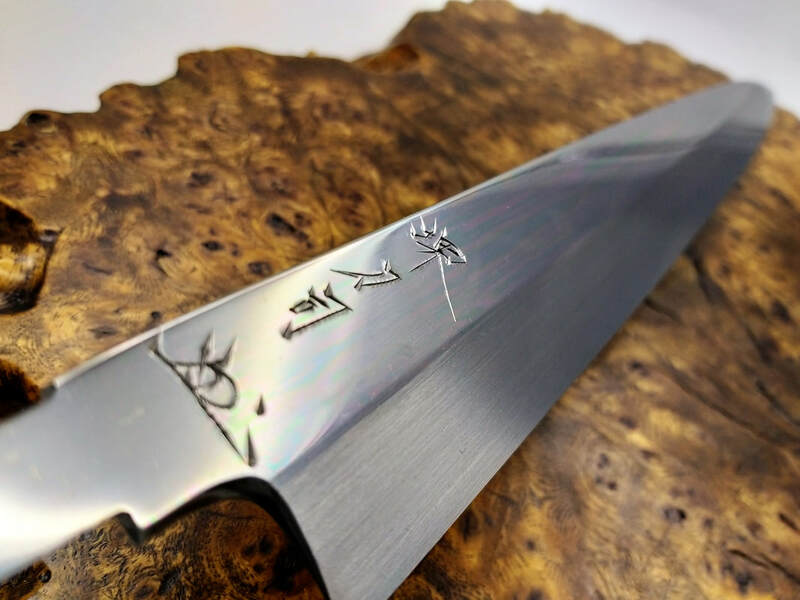 This knife is one of the few precious existing knives that were crafted by the renowned blade smith Mr. Masakuni Okishiba. 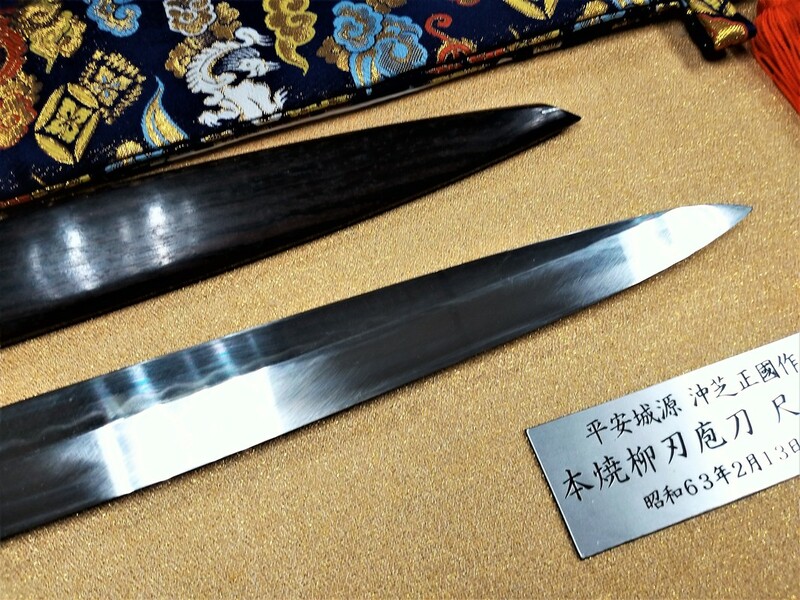 It is crafted by means of the characteristic technique which was passed down from the ancient time in Sakai. 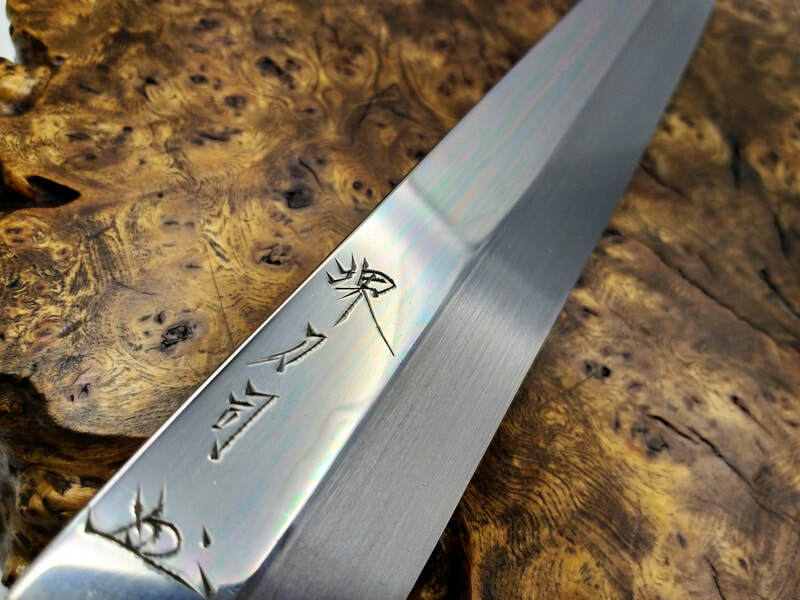 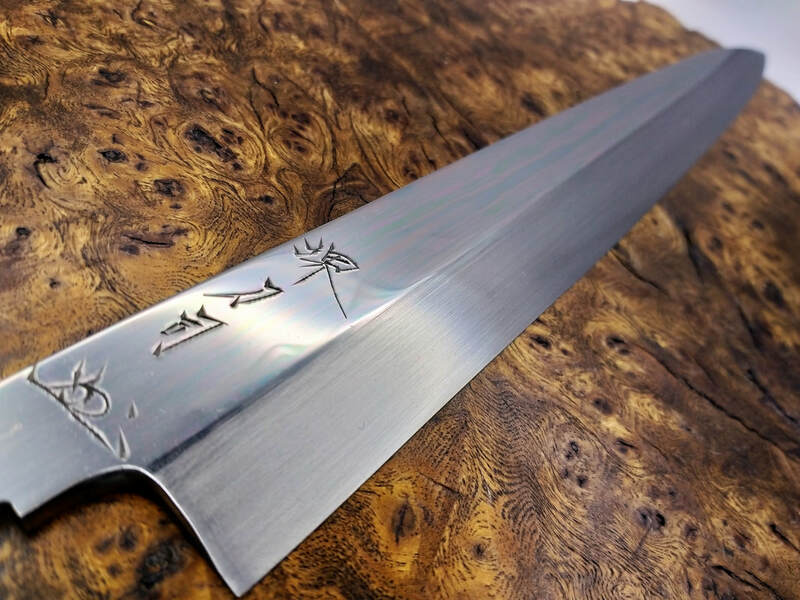 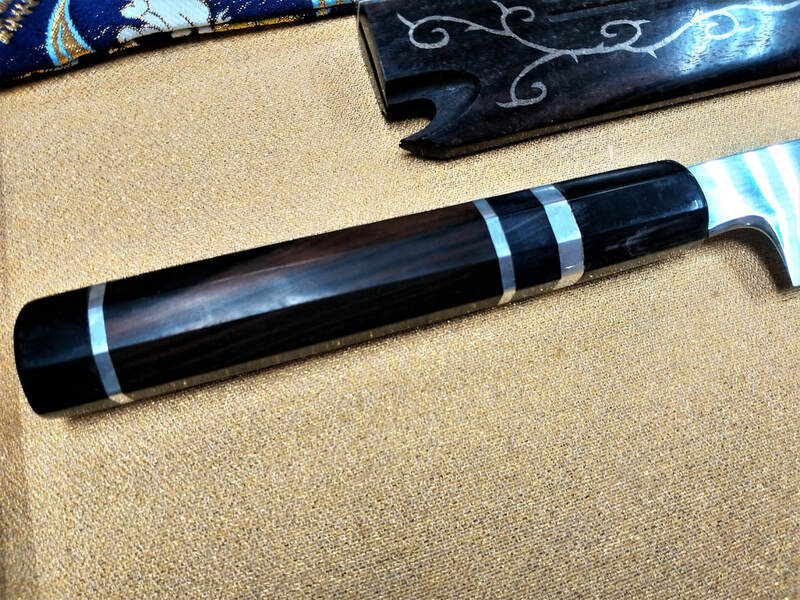 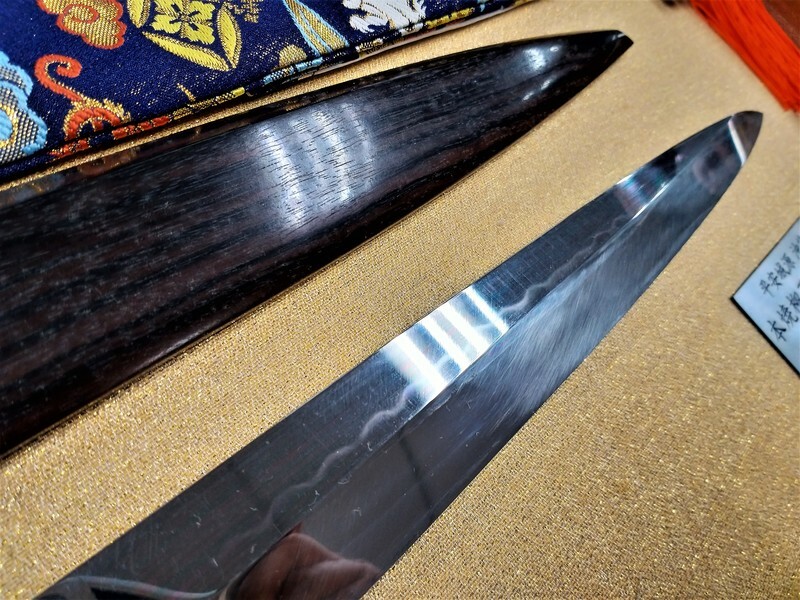 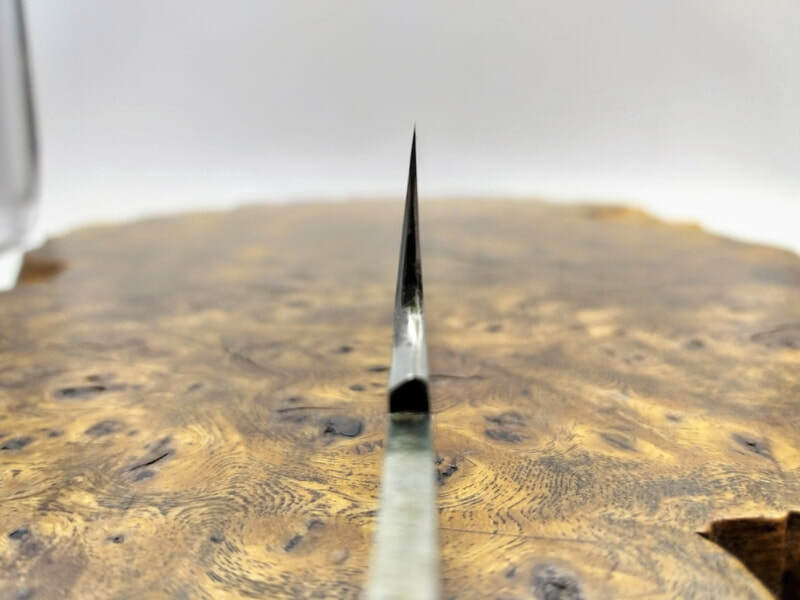 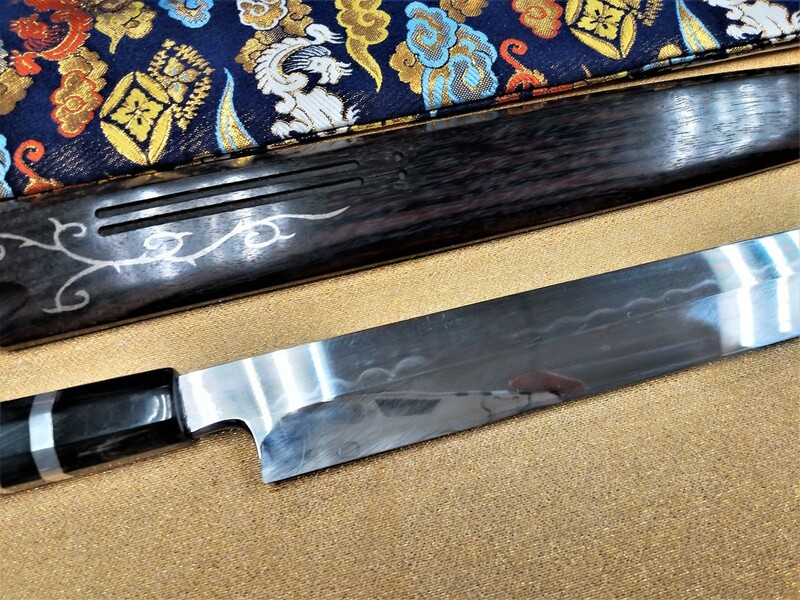 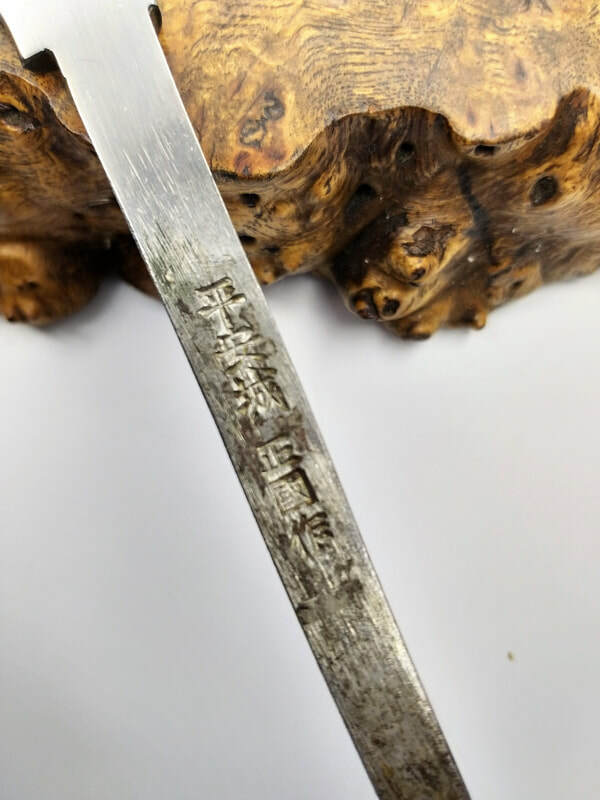 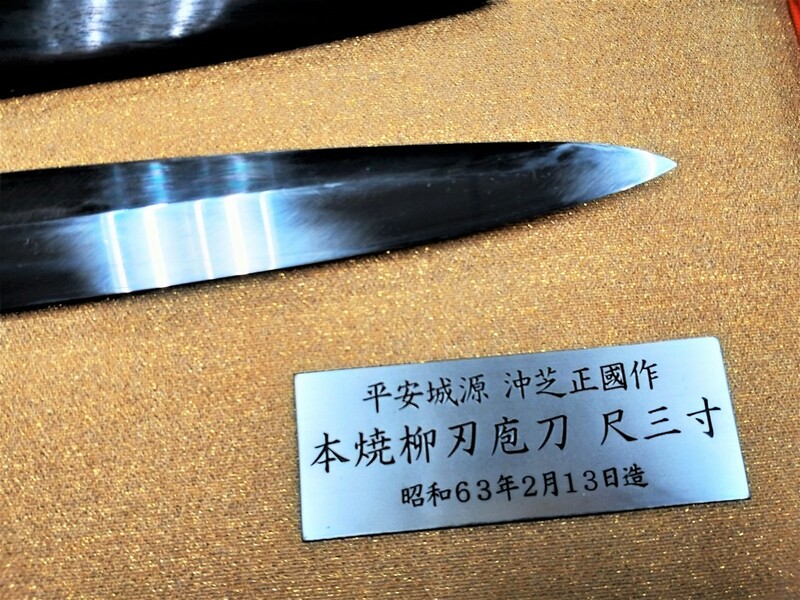 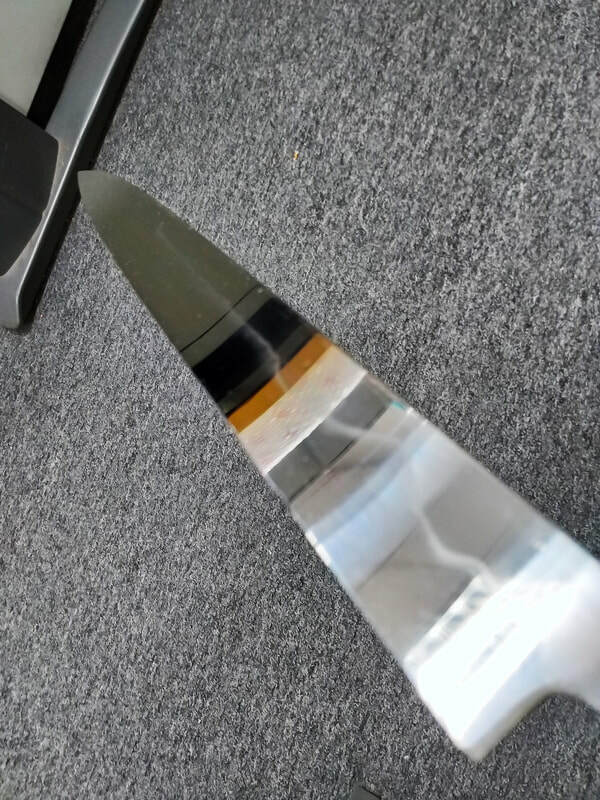 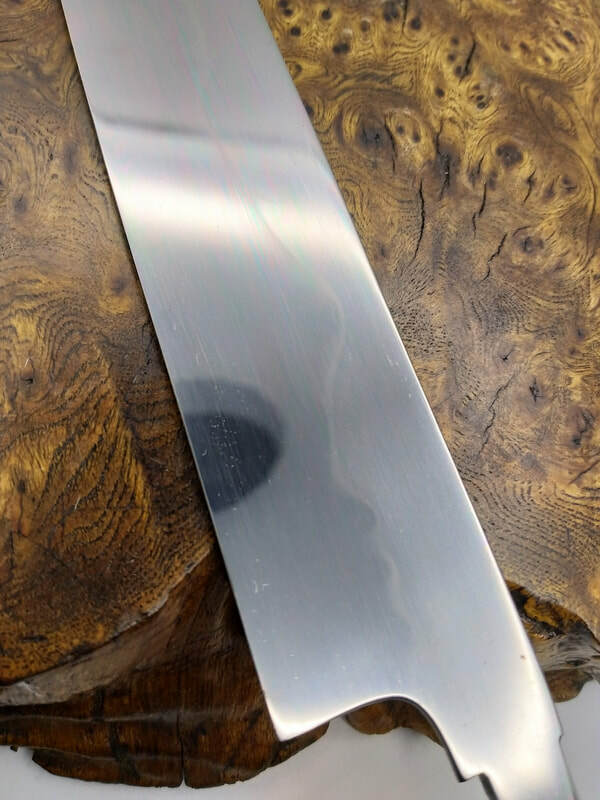 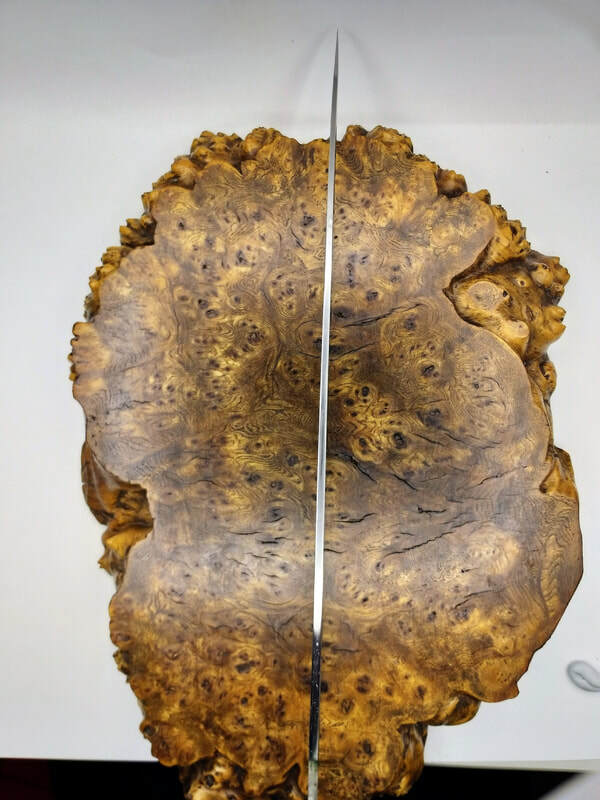 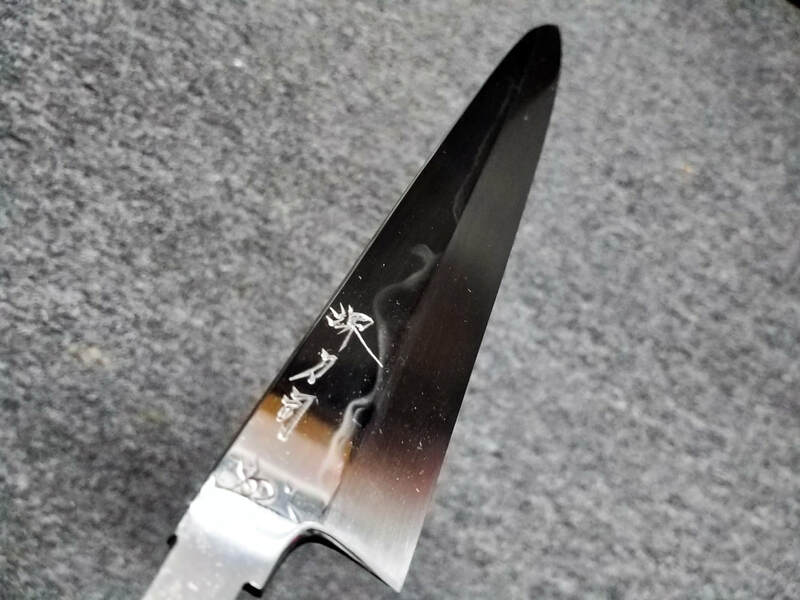 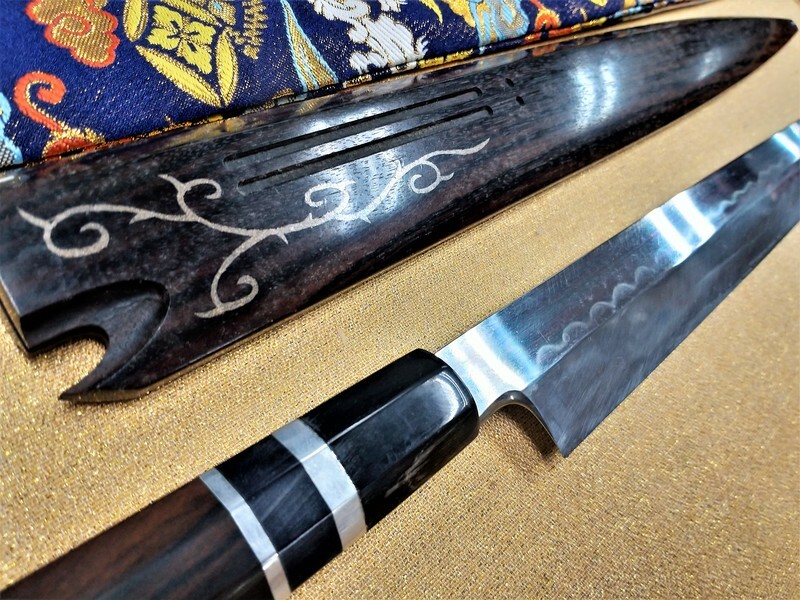 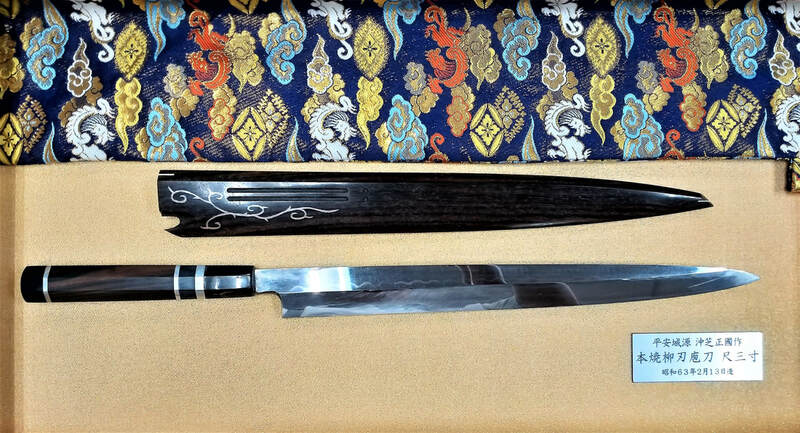 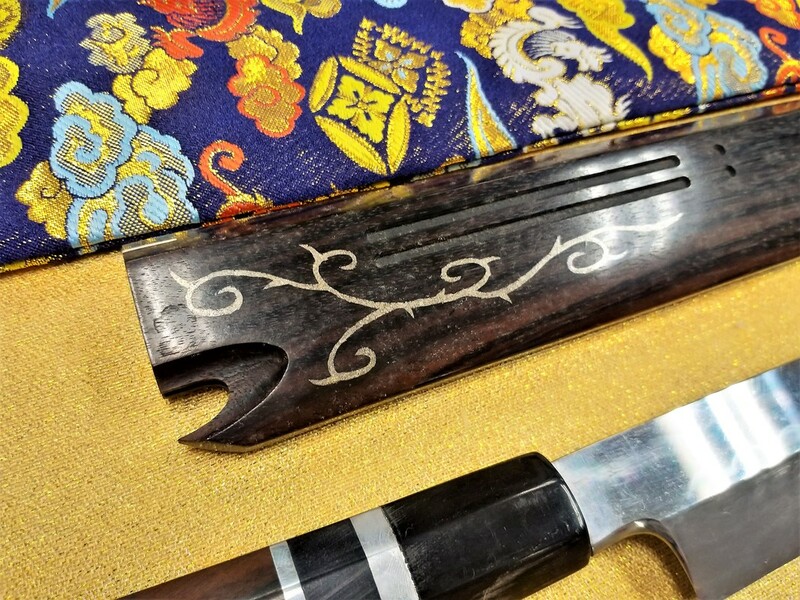 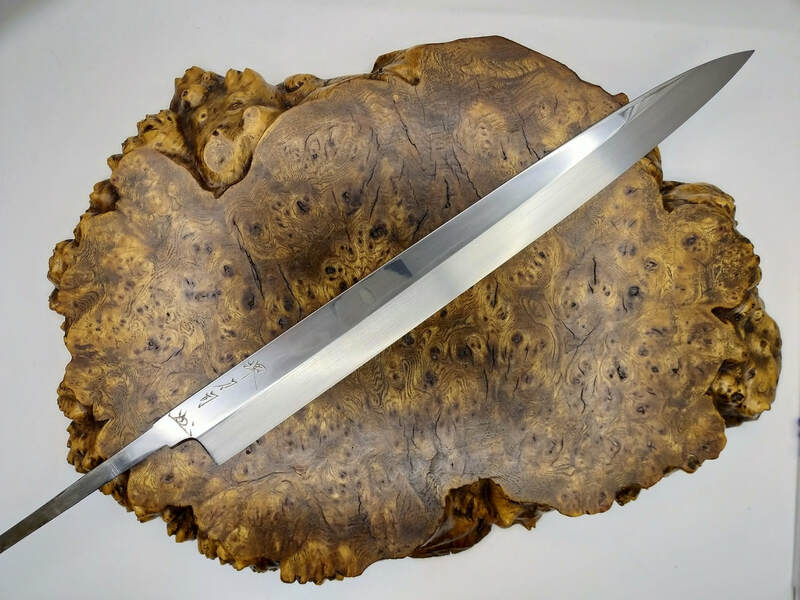 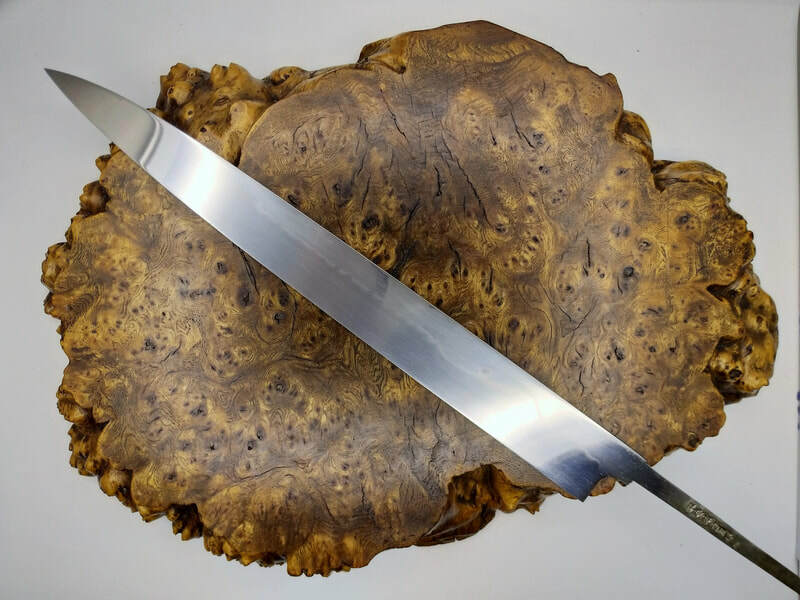 Ultra rare.This knife is one of a few precious existing knives that were crafted by the renowned blade smith Masakuni Okishiba-san, featuring his own interpretation of Mount Fuji hamon. 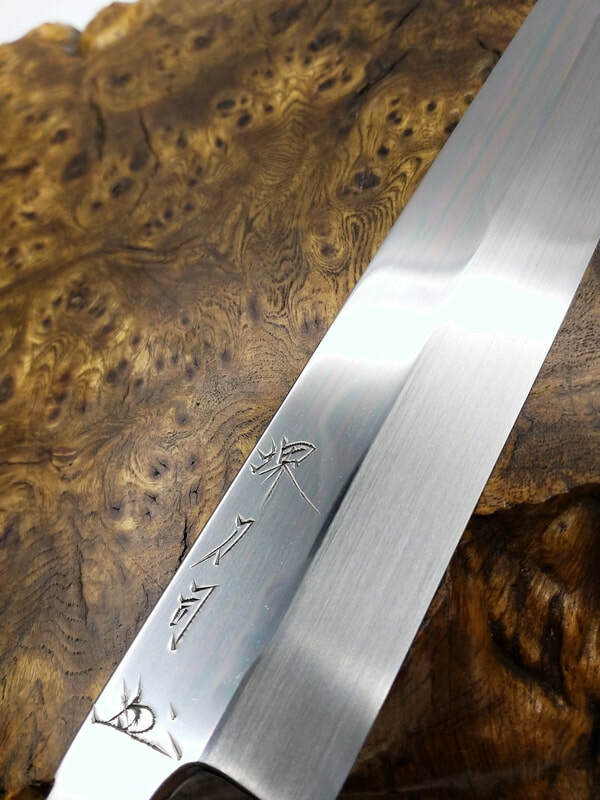 The moon and is created with the claying method as opposed to modern easier way of etching or lazer.